Joss Davidge, Managing Partner of Brand Experience Agency BEcause, is always on the lookout for the best experiential marketing campaigns out there. This week, he highlights PUMA’s Grand Central Station takeover. The World Cup may feel very much like a distant memory now, but there are still plenty of experiential marketing activations going on to get us excited about The Beautiful Game. PUMA and Arsenal FC recently teamed up to create the new Arsenal kit and wanted to announce that to the world in an interactive way. 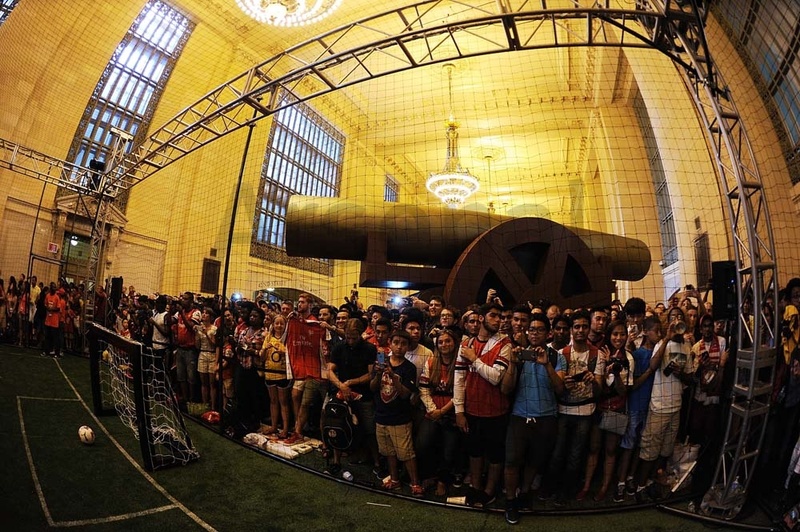 By way of celebration, in the lead-up to Arsenal’s friendly against the New York Red Bulls, the sports apparel brand put on a football game in New York’s Grand Central Station. The 25th July event was complete with Arsenal FC players, the beloved mascot ‘Gunnersaurus’, a larger-than life replica of Arsenal FC’s iconic cannon and a host of activities throughout the day. The day kicked off with local youth football clubs participating in tournaments on an indoor football pitch in Vanderbilt Hall. 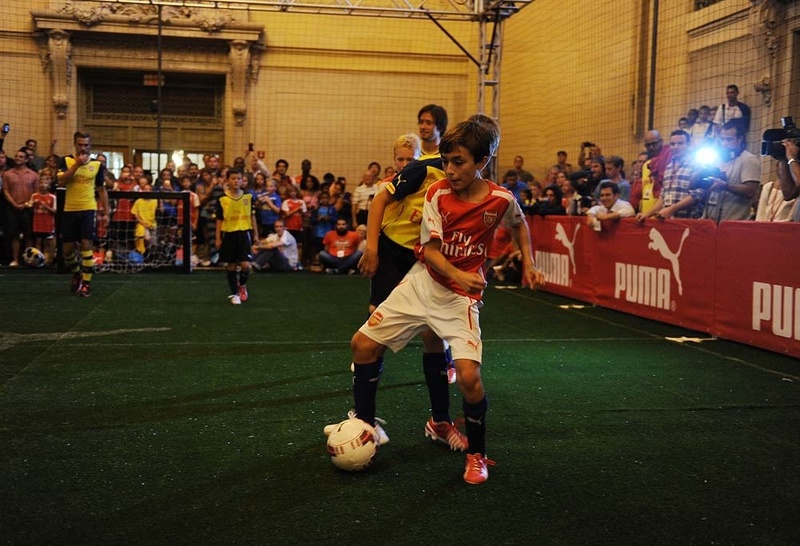 The victorious team could then play against Arsenal athletes. Inbetween these matches, activities included a viewing of the FA Cup trophy, and plenty of photo opportunities with the star footballers, good old ‘Gunnerseraus’ and the 30-foot canon replica, which acted as a nod to the club’s logo and history (Arsenal FC was founded in 1886 by workers at an armaments factory and thus often referred to as 'the Gunners'). 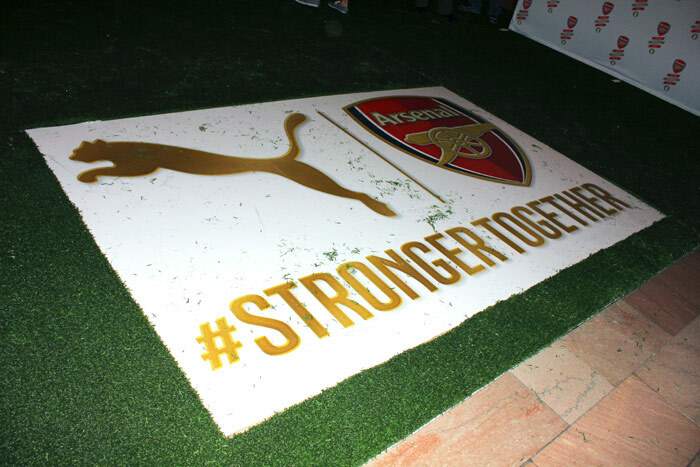 The #StrongerTogether hashtag was prominent throughout the hall, and attendees were encouraged to use it when talking about the event on social media. 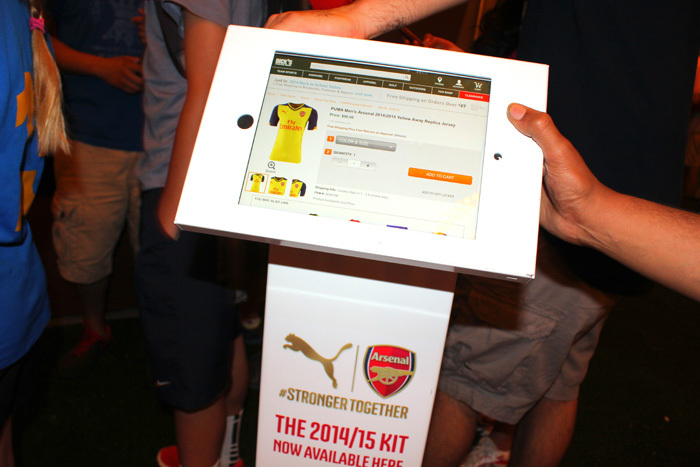 Digital tablets were also dotted around the hall allowing guests to check out the new PUMA Arsenal Football Club Kit. With its vast footfall Grand Central’s Vanderbilt Hall is a great location for orchestrating an eye-catching experiential marketing activation like this. This isn’t the first time I’ve featured an experiential marketing activation that took place in Grand Central Station; J.P. Morgan hosted a squash tournament, and Target unveiled a life-sized dolls house there. Joss Davidge is managing partner of BEcause, an award winning brand experience agency which has been helping brands become more tried, tested and talked about for over 20 years.